So light, airy and chocolately you may not believe it… but we promise there’s no sugar added or gluten. Pour ¾ cup (6 fluid ounces) very cold skim milk into a mixing bowl. 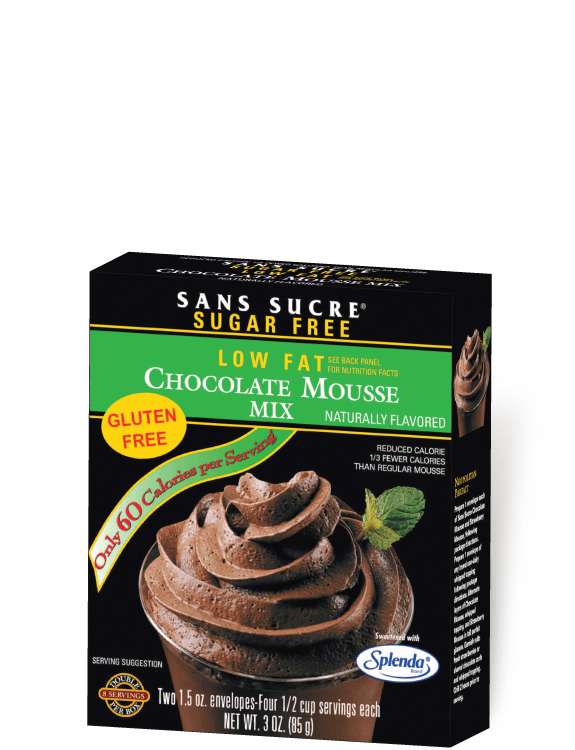 Add the contents of 1 envelope of Sans Sucre Chocolate Mousse. Using an electric mixer, blend on lowest speed until mix is blended. Slowly increase the mixer speed until highest speed is reached, whipping for a total of 5 minutes. Pour into 4 dessert dishes and refrigerate 2 hours before serving. Can also be used in recipe on side panel, or in your own creative dessert preparation. 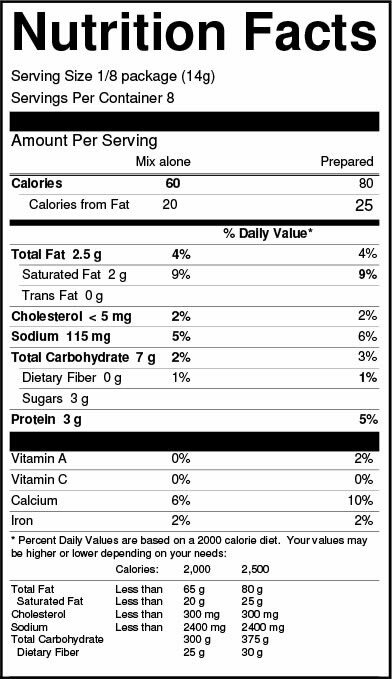 Diebetic Exchange: one ½ cup serving is approximately equal to ½ low fat milk exchange. Ingredients: Whipping Base (Partially Hydrogenated Palm Kernel Oil, Maltodextrin, Propylene Glycol Esters Of Fatty Acids, Sodium Caseinate, Acetic Acid Esters Of Monoglycerides, Dipotassium Phosphate, Microcrystalline Cellulose, Hydroxypropyl Methyl Cellulose, Mono And Diglycerides, Sodium Aluminosilicate), Cocoa (Processed With Alkali), Maltodextrin, Modified Corn Starch, Tetrasodium Pyrophosphate, Silicon Dioxide, Artificial Flavor, Carrageenan, Sucralose, Xanthan Gum. Note: Chocolate contains naturally occurring lactose from the milk used to make it.